Our panel of physicians and physical therapists are highly regarded for their successful treatment protocols for the successful treatment of chronic and reoccurring neck pain, back pain, leg pain, arm pain, numbness and tingling in the arms and legs and other serious spinal problems. 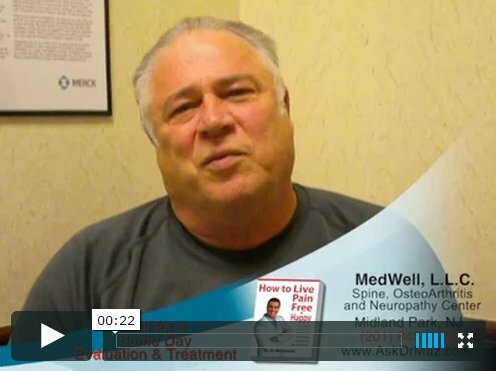 See why so many people are coming to the New Jersey Neuropathy Treatment Center. 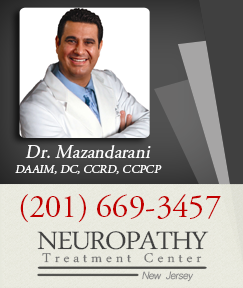 We are one of a select few clinics NATION WIDE that specialize in the treatment of peripheral neuropathy. Many people would ask what exactly is that? You would of course, unless you had it! 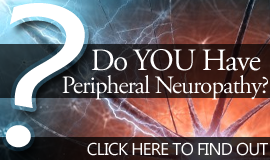 Peripheral Neuropathy is nerve problems in the arms, hands, legs and feet that cause pain AND / OR numbness. As Northern New Jersey’s most advanced center of its kind, we have unparalleled access to proven and state-of-the-art technologies, matched with innovative processes for optimal and long-lasting results. We work with you to help you live a pain-free and satisfying life. We take pride in communicating with our clients in an open and transparent manner—one that patients can understand and trust. 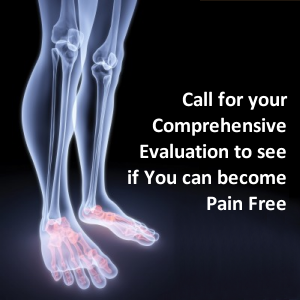 Specializing in the relief of severe pain due to peripheral neuropathy, one of the most exciting parts of the program is that it is a drug free approach with lasting results—imagine not having to take drugs for the rest of your life to treat the pain. Find out more about our services by calling us to set up a consultation today! As a Neuropathy patient you’ve likely been told “You have neuropathy so here is your prescription for the pain medication”, or you’ve been told “There’s nothing that can be done for the neuropathy in your legs and your feet.” Traditional medical treatment focuses on anti-epilepsy drugs and anti-depressants, or even worse opiates, and these drugs do nothing for the underlying problem which is damage or death to the small fiber nerves in your feet, hands or legs. Using the latest in technology, we offer non-invasive, NON-DRUG, non surgical, and painless neuropathy treatment that is provided exclusively at our treatment center. This program includes neuropathy biophotomodulation treatment, combined with very specific neurological reintegration and stimulation protocols of peripheral nerves to increase their function quickly.